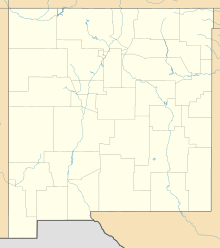 Lea County Regional Airport (IATA: HOB, ICAO: KHOB) (Lea County-Hobbs Airport) is four miles (6.4 km) west of Hobbs, in Lea County, New Mexico. The airport covers 898 acres (363 ha) and has three runways. It is an FAA certified commercial airport served by United Airlines' affiliate with daily regional flights. Lea County Regional Airport is the largest of the three airports owned and operated by Lea County Government. Lea County also owns and operated two general aviation airports in Lovington and Jal, New Mexico. Runway 3/21 – 7,398 × 150 ft (2,255 × 46 m). Runway 12/30 – 6,002 × 150 ft (1,829 × 46 m). Runway 17/35 – 4,998 × 100 ft (1,523 × 30 m). For the 12-month period ending April 7, 2010, the airport had 11,506 aircraft operations, an average of 32 per day: 81% general aviation, 18% air taxi and 1% military. There are 47 aircraft based at this airport: 83% single-engine, 8% multi-engine, 8% jet, and 3% helicopter. The airport has one terminal for all arrivals and departures, as well as two FBO's, Tailwind Aviation and Christian Aero. The data below lists annual total aircraft operations from 2009–2013 from the FAA's air traffic activity system. The percent changes indicate an average of −13.93% in aircraft operations per year over the last 5 years. Lea County Regional Airport was originally the Me-Tex Airport and opened as a commercial airport on July 23, 1937. In 1937 the Me-Tex Supply Company leased the land from the state. Oiled runways and a hangar were built. In 1940 the city of Hobbs passed a bond issue to purchase the airport and some adjoining acreage, with the intent of bringing airline service and airmail delivery. Federal grants helped pay for paved runways and taxiways and a terminal building for the renamed Hobbs Municipal Airport. Service by Continental Airlines continued until 1963 when the carrier was replaced by Trans-Texas Airways (TTa). Supplemental service was provided by Bison Airlines in 1963–64. TTa also started with DC-3's but soon upgraded to Convair 600 aircraft. The name was later changed to Texas International Airlines (TI) and nonstop flights to Dallas TX were occasionally operated. For a brief time in 1977/1978 the airline introduced DC-9 jets to Hobbs but reverted to Convair 600's. TI's service ended in early 1979 being replaced by Crown Airlines with nonstop flights to Albuquerque and Air Midwest to Albuquerque and Lubbock. Crown Airlines ceased operating about a year later and Air Midwest switched the Lubbock flights to Midland/Odessa, TX. Mesa Airlines came to Hobbs in early 1984 with Beechcraft 99 flights to Albuquerque and Lubbock while Air Midwest left the city late that year. Mesa upgraded to Beechcraft 1900 airliners and was the mainstay air carrier at Hobbs for over 22 years until they were replaced by New Mexico Airlines in 2007 operating 9-seat Cessna 208 Caravans to Albuquerque, El Paso, and Midland/Odessa. The city was also briefly served Permian Airways in 1979 with flights to El Paso and Midland/Odessa, and by Big Sky Airlines in 2000/2001 first with nonstop flights to Dallas/Ft. Worth but later a stop in Brownwood, TX was added. New Mexico Airlines left Hobbs in early 2011 and new nonstop service to Houston Bush Airport by Continental Express was introduced on July 1, 2011 using 50-seat Embraer 145 regional jets. Continental Airlines merged into United Airlines in early 2012 changing the Hobbs flights to United Express. ^ a b "Air Traffic Activity System". Archived from the original on October 4, 2014. Retrieved October 29, 2014. ^ "Fact, Fantasy & Fiction" by Max Clampitt, published in Hobbs News-Sun newspaper. This page was last edited on 21 April 2019, at 04:04 (UTC).